Subscribe to the closed online beta now and get a pack of twenty new puzzles, plus the majestic: Cape of the Founder for your king. This bonus will show all of your opponents that you were supporting us from the beginning. We are seeking brave souls who want to test our new premium maps in the online game. 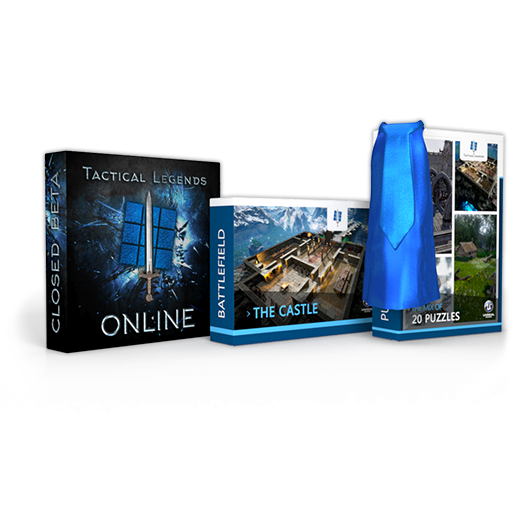 Only for beta-testers, we offer a special bundle that includes the pack of twenty new puzzles, the Cape of the Founder for your king, and access to the amazing new battlefield: "The Castle". The online game can only live with a community of players. Help us out and bring two or more people to the closed beta and receive The Cape of the Founder for all unit types for FREE! The Cape of the Founder for the King and all unit types will be unavailable to achieve or purchase after beta finishes. Every player you invite will receive 50% discount on "Founder's Pack" and "PRO Tester Bundle".